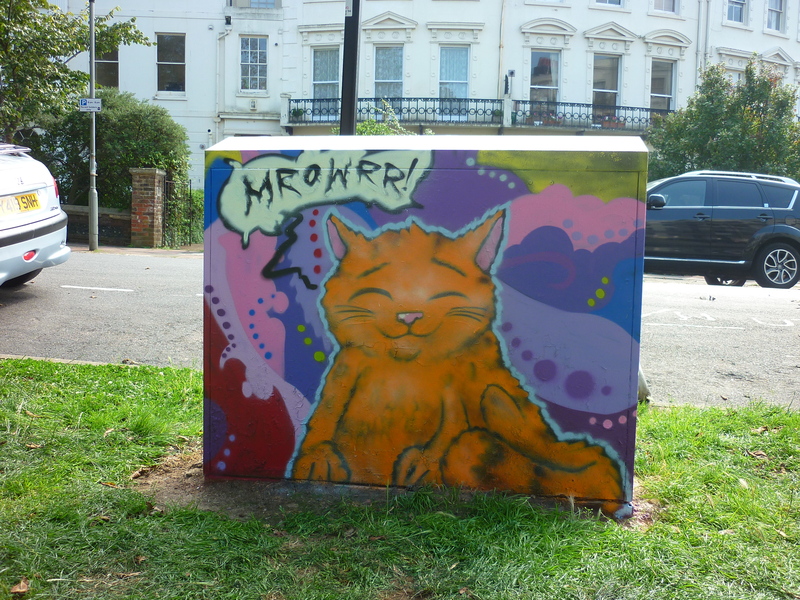 This year I have been working with youth groups and Brighton council to paint some of the spaces around the city. 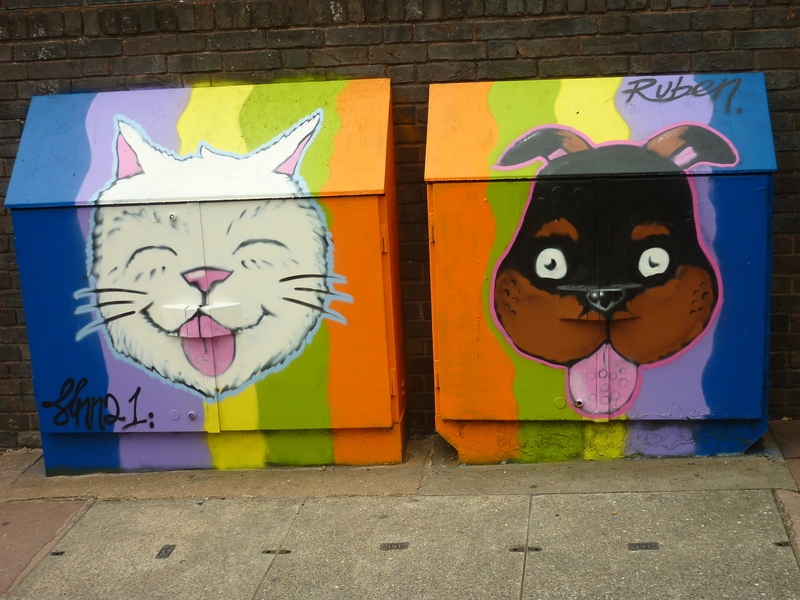 Along with this I have been given permission to paint a number of the green electricity and communications boxes around the place. Following in the footsteps of Brighton Green Box artist, Cassette Lord, I hope to offer a more colourful and alternative style to the current casette and mixer stencils normally seen around. Here are just a few that have been done already…. 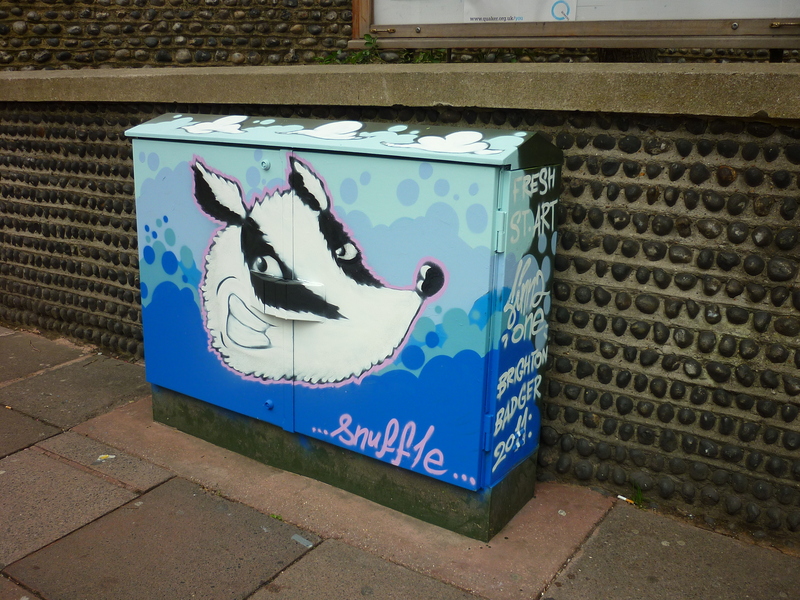 loving the green boxes, i live next to crescent cat ans just saw the brighton badger yesterday. if you dont mind me asking – where are the other ones? 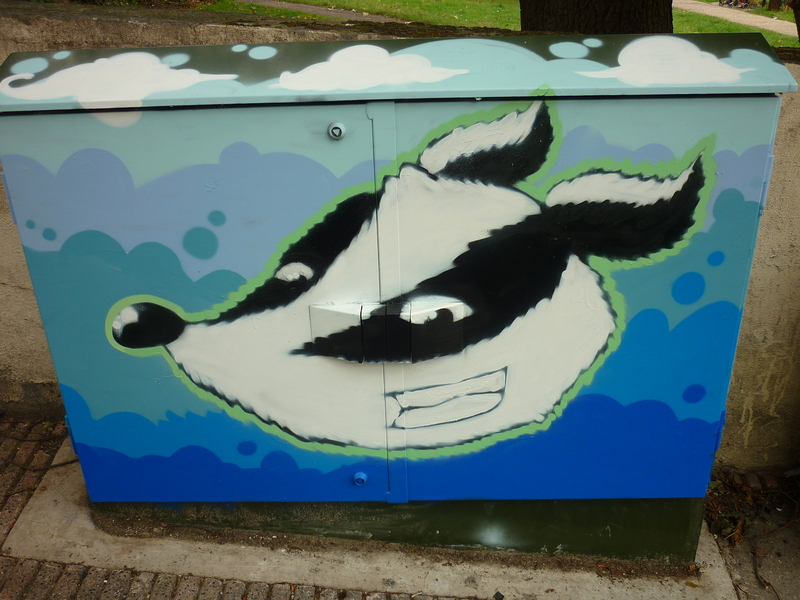 There is a badger outside of the Brighthelm church garden. One outside of the Friends Meeting House and the Cat and Dog are outside of Middle Street School. There is also a monkey on New England Street. Glad you like them. Keep your eyes peeled for more soon. ← Warm memories of Summer – Playgroup Festival – Brighton Goes Camping!